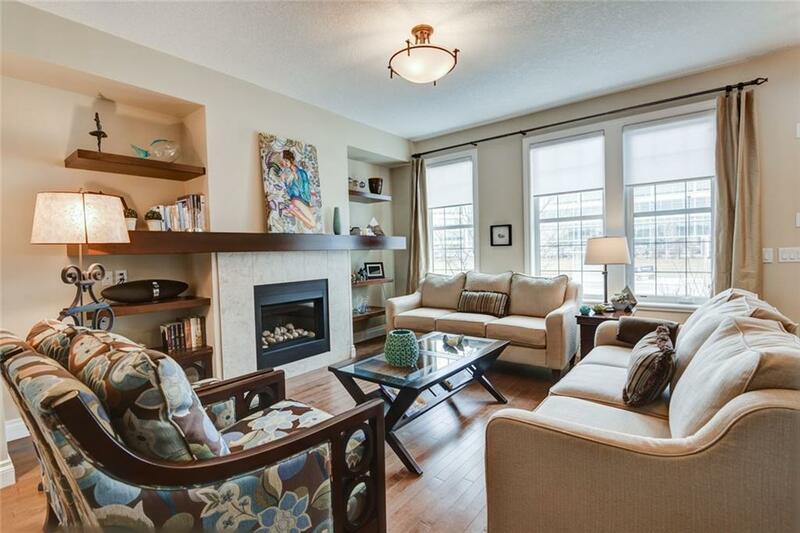 Meticulously cared for townhome shows like new! 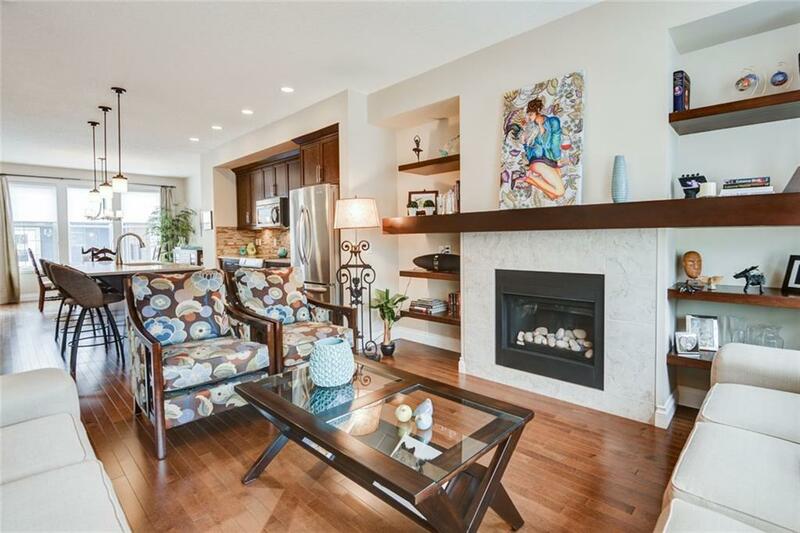 Great location in popular Quarry Park. 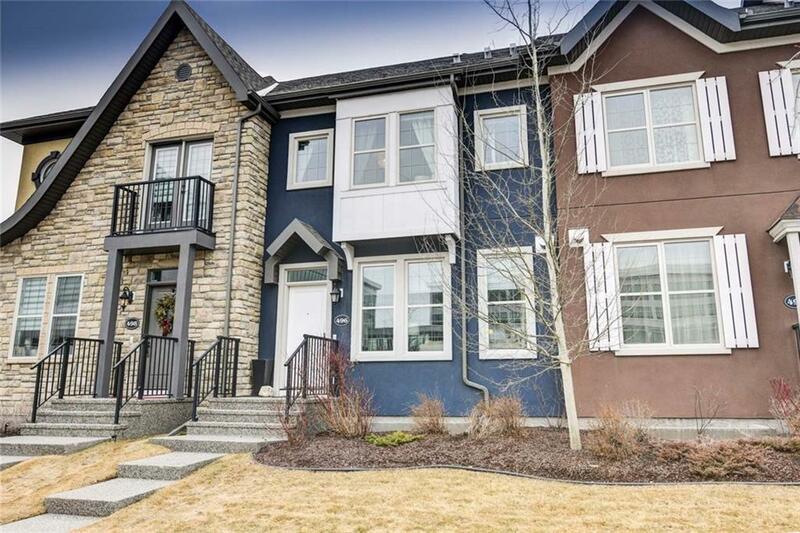 Walking distance to shopping, restaurants, public transit, playground & YMCA. Central A/C, double garage and fully fenced yard! 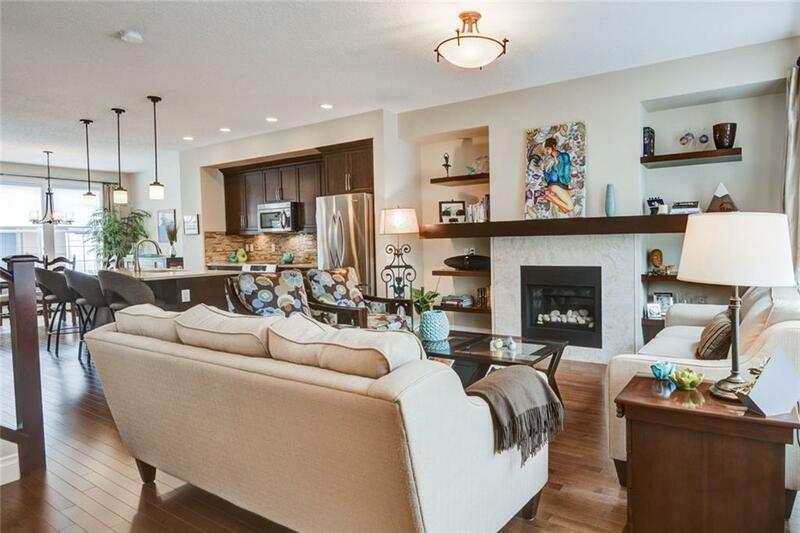 Open floor plan with 9ft ceilings, built-in benches at each entry and a large living room with gas fireplace and built-in shelving. Gorgeous kitchen with quartz countertops, beautiful appliances, big pantry, full height cabinetry and upgraded light fixtures. Dining area and half bath complete the main floor. Upstairs has a large master bedroom with huge 5 pce ensuite with soaker tub and separate shower and a good sized walk-in closet. Full size laundry and built-in storage are conveniently upstairs along with two more bedrooms and another full bath. Attic space contains the furnace and huge 75 gallon hot water tank! Basement professionally developed with huge rec/family room, full bathroom and 4th bedroom that only needs carpet and paint to finish it off. Currently used as large storage room.